This 22' Blue Crush duel lane slide gives you a super fast slide with a wave at the top to make it look like an ocean view. Race your friend down the Blue Crush Slide faster and faster till you exit the bottem. 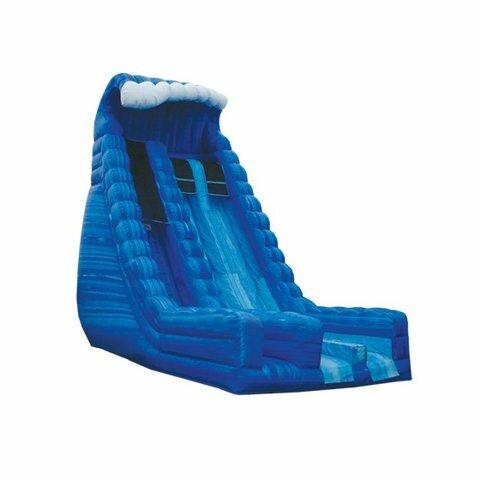 Rent this slide for you next big birthday party or public event.